Hi all! 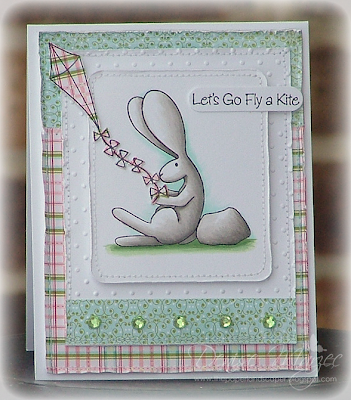 Here's my card for today's Sweet Stop Sketch. 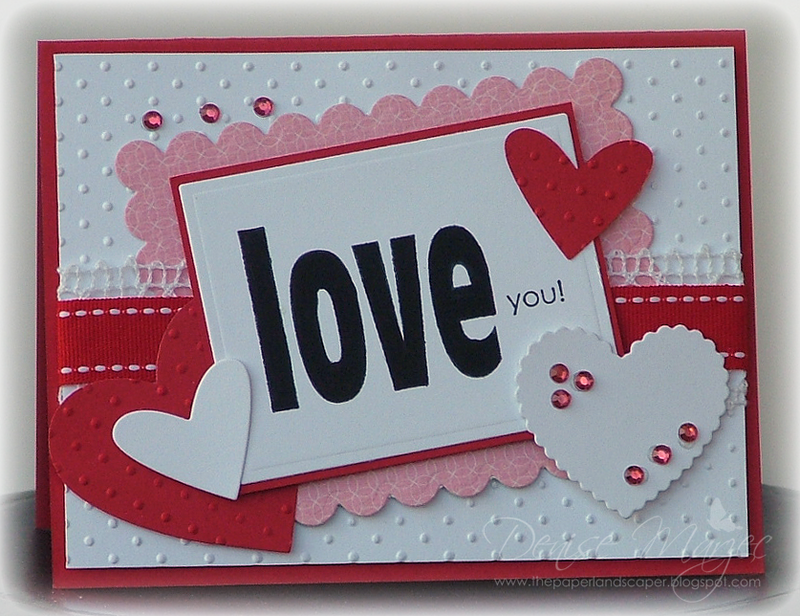 I used my Lava You set from OCL, glittered up the lava hearts with some stardust Stickles, and popped the main panel and sentiment heart up on foam tape. 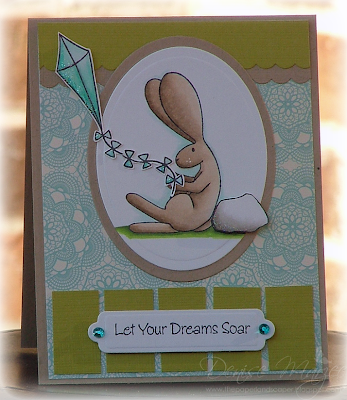 Hop on over to the Sweet Stop Challenge Blog to see what my fellow Sugar Babies have to show you, join us for the sketch, and be sure to link up your project so we can see it. Today's challenge on the OCL Blog is a sketch! The only stamp used on the card is the sentiment, which is from Lava You. 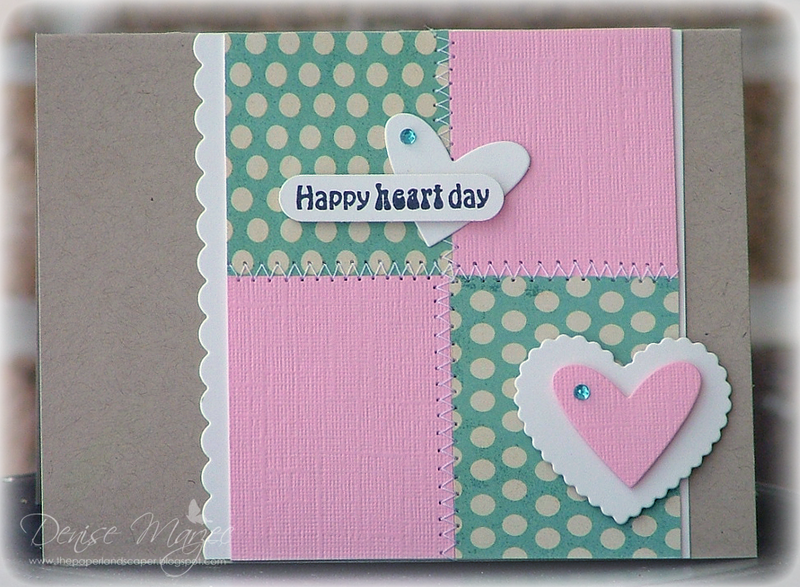 The sentiment oval and pink heart are both up on foam tape. I also layered up ribbons like we did in our challenge from two weeks ago...fun! Did you see the announcement on the Penny Black Blog about the brand new online shopping site?! You can now access and purchase the newest PB stamps right from the new website! Whoo-hoooo! 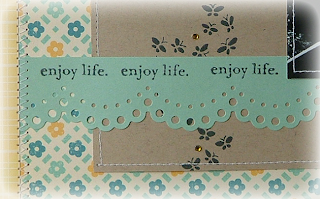 I wanted to play with my 4119J Love Antennae stamp and paired it up with 30-025 Sentiments. 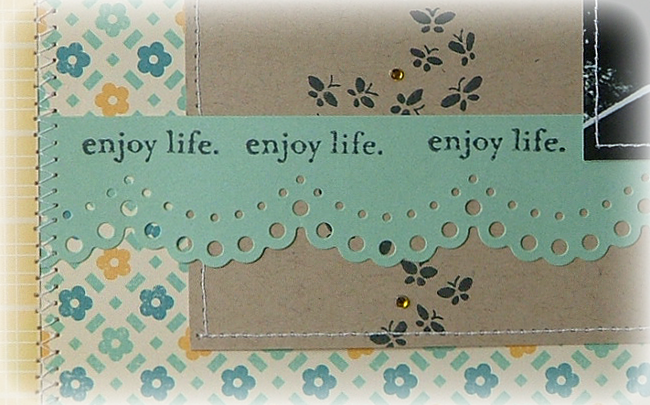 The center of the sentiment is up on foam tape to give it a curve. The main image was stamped on Cryogen irridescent white shimmer CS, colored with Copics, and I added extra shimmer to the wings with a clear Spica glitter pen. The main matted image is also up on foam tape. Hey all! It's time for this week's Sweet Stop Sketch. 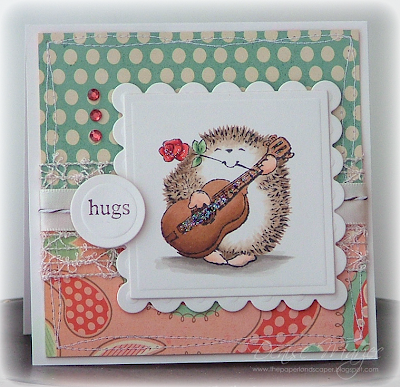 For my card today, I used this cute little hedgie from Penny Black's Stuck on You transparent set and paired it up with 3316F Hugs And... (I colored in just the word "hugs" directly on the rubber stamp with a brown SU marker and then stamped it). The scallop circle and sentiment are both up on foam tape, and I added some stardust Stickles to the rose and guitar strings. 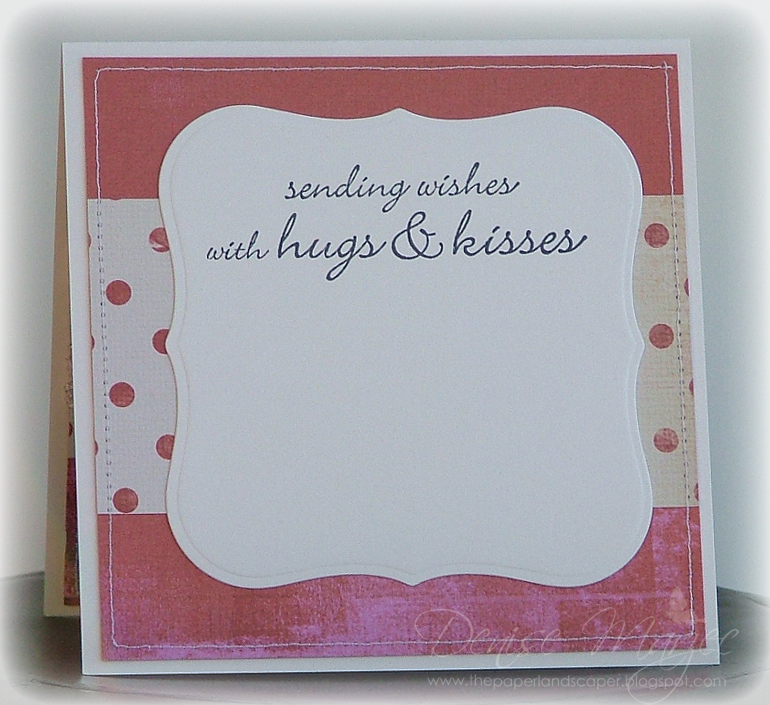 Thanks for stopping by my blog today and have a good one! 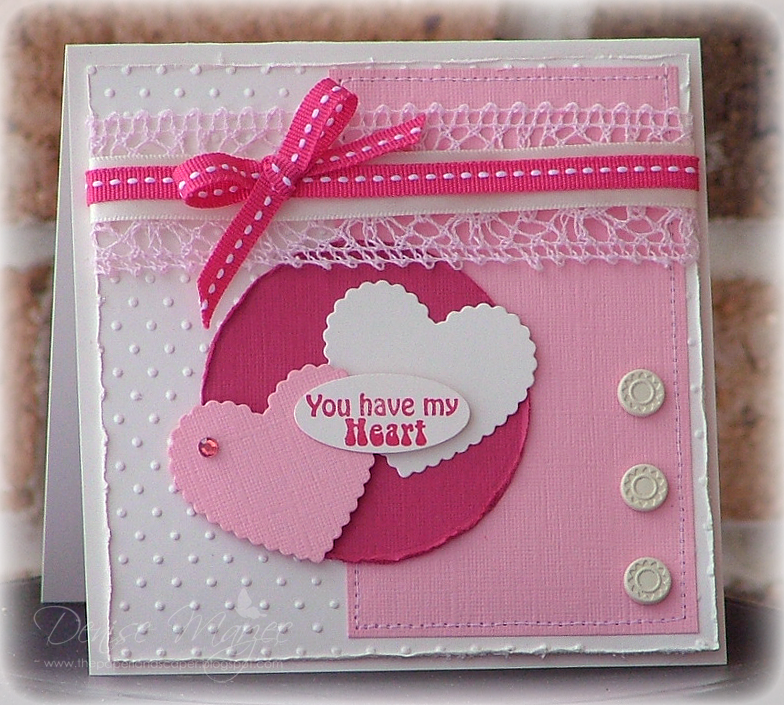 This week's OCL challenge is to make a CAS card with a heart theme. 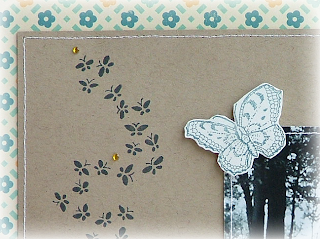 I used layout #122 from the Clean & Simple Blog. The sentiment is from OCL's Lava You. It's up on foam tape along with the textured pink heart and ruffled cream heart. Join us for this week's challenge and link up your card on the OCL Blog for a chance to win a prize! 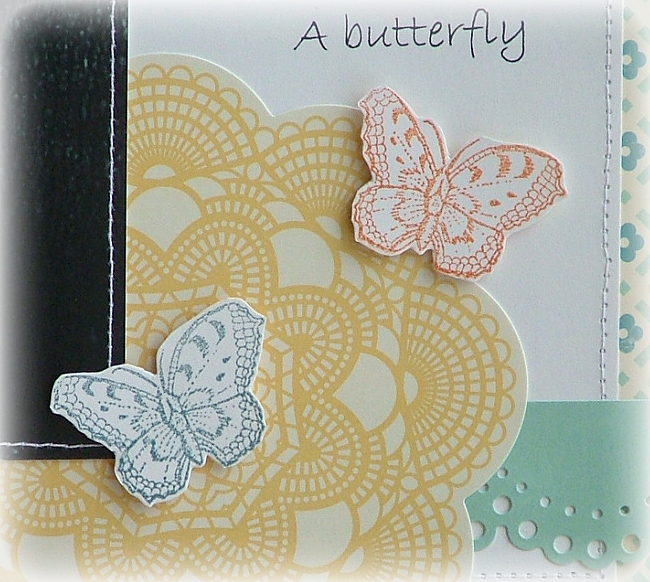 Yikes, I haven't posted anything since Saturday....that's just too long to go without stamping, I say! As soon as I finished up my work for today, I got right to playing with my Flopsey set that I got for Christmas and today's MFT Sketch! Ahhhh, playtime! The sentiment, kite, and Flopsey panel are all up on foam tape. 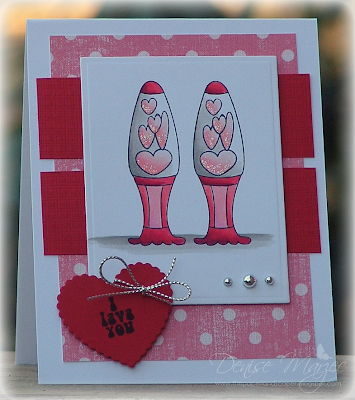 The DP is technically wintery (Eskimo Kisses), but I think these two patterns are cute for a springy card. I added sewing and distressed all the edges with my fingernail. 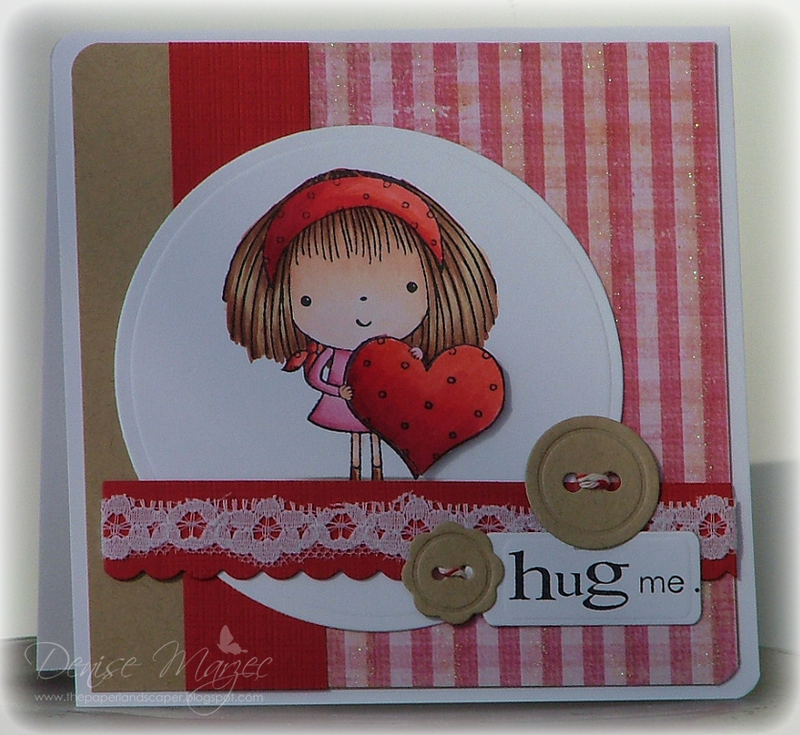 The stamp I used is from Penny Black (called Bold Love). The main matted panel, two white hearts, and small red heart are all up on foam tape. 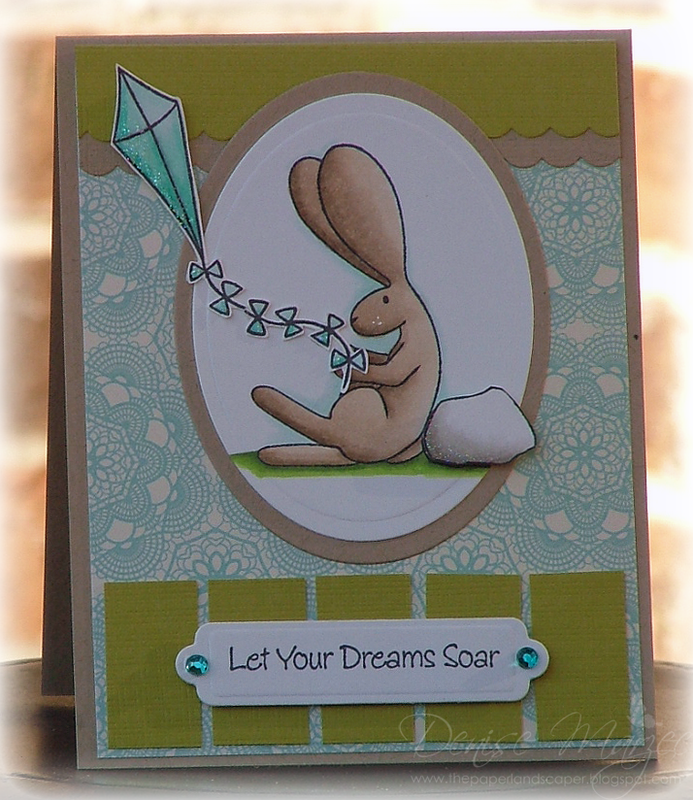 Hop over to the Sweet Stop Blog to see what gorgeous projects the Sugar Babies have to show you and we hope you'll play along with us! 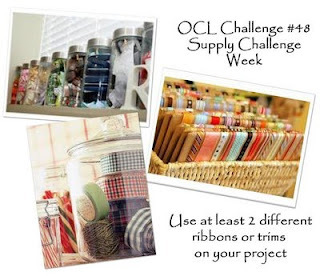 This week's challenge on the OCL Blog is a supply challenge to use two or more ribbons or trims. For my card, I followed SCS Sketch #315 and used my Out for a Spin set. 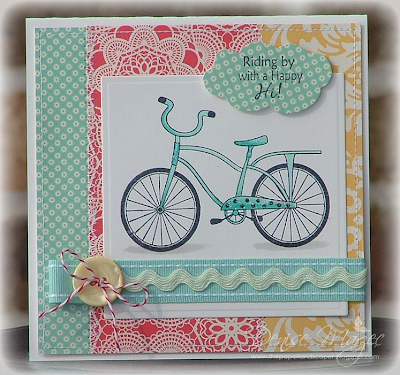 The cloud with the sentiment is up on foam tape and I added Stickles to the bicycle. The umbrella and heart stamps are from Lola Love and the "xoxo" sentiment is from Notes of Love. The whole white panel is up on foam tape and I added stardust Stickles to all the hearts and umbrella. Here's a card I made for this week's Sweet Stop Sketch. 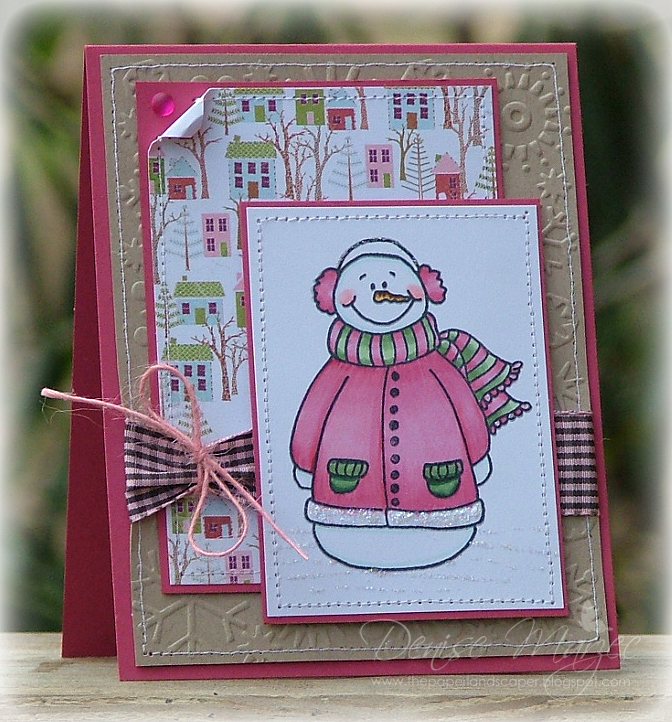 The snowman stamp is from Sweet 'n Sassy stamps and I paired it up with Eskimo Kisses DP that Korin so generously gave me (thanks, girlie!). The main panel up on foam tape. I love this photo. It was taken by my daughter's best friend and I finally got a chance to scrap it. 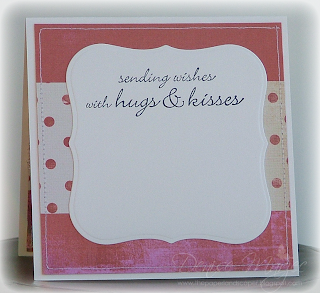 Click HERE for a list of Penny Black retailers. Page Size: 12" x 12"
Hey all and happy Thursday! When I saw Dawn's fun sketch card this week for MFT, I couldn't wait to try out the layout. 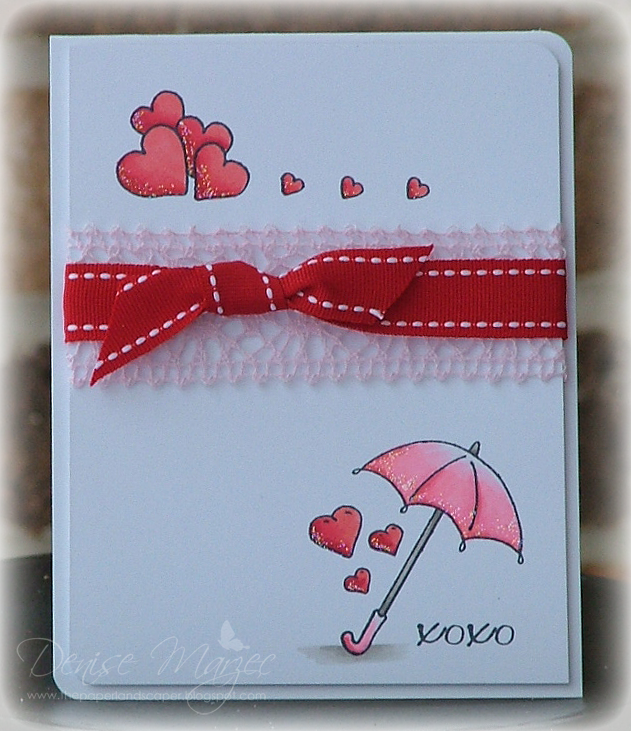 I started this card yesterday, added to it here and there as time would allow, and finally finished it up a few minutes ago.....do you have broken up card-making time like that?? 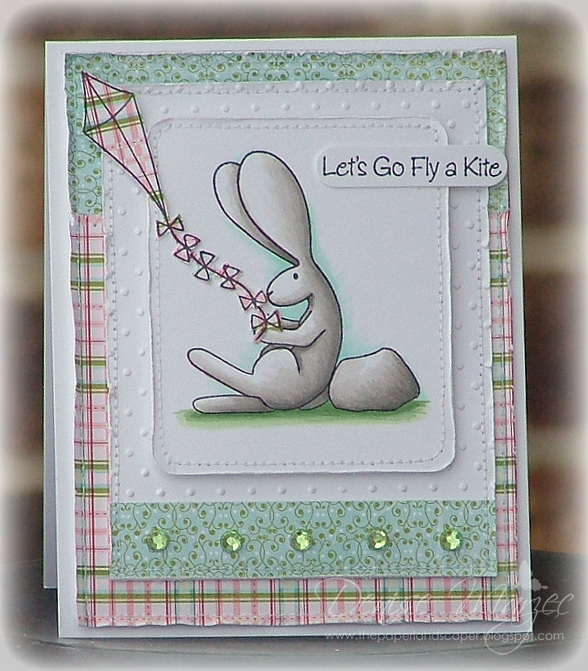 Anyhooooo, I used my brand new (not so new to MFT but new to me) Flopsey Flies a Kite stamp that my MIL gave me for Christmas...my very first Flopsey! Yay! The kite, rock, and sentiment are all popped up on foam tape, and I added stardust Stickles to accent the rock and kite. Hope you're having a good day. My play time is over now.....I really gotta get to work. See ya! 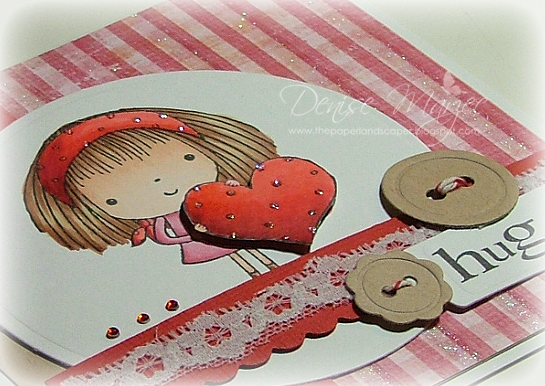 Over on the Penny Black blog, we were asked to make some monochromatic cards. For mine, I used this sweet Purr-fect Message image, which is a Slapstick stamp and sentiment from the new 2011 Amour catalog. 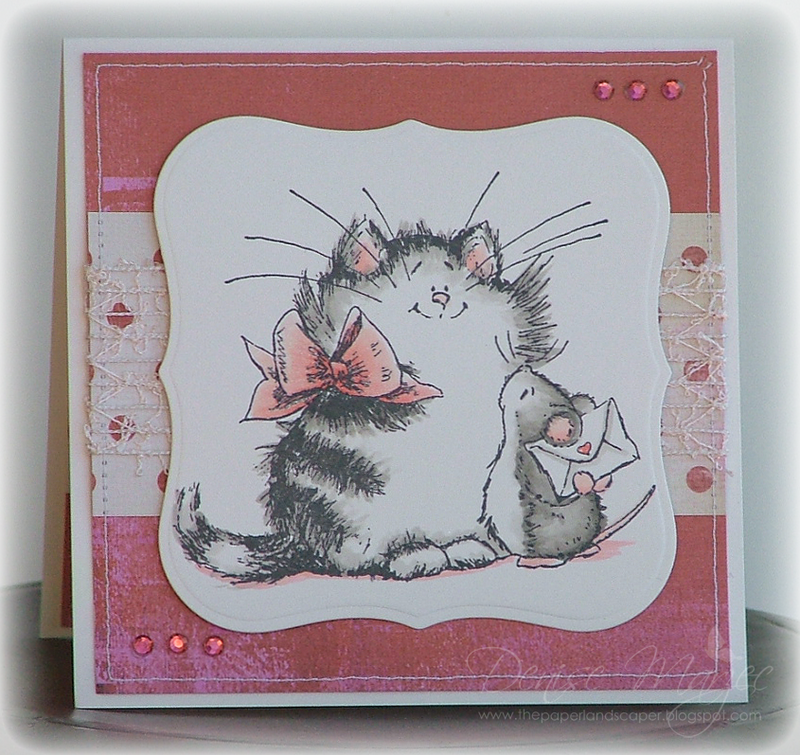 Loved coloring this one...tooooo cute! The main panel is up on foam tape, and I colored in different parts of the main image with my clear Spica glitter pen. Hope you had a fun New Year's Eve last night! We watched the ball drop at my brother and SIL. Fun times! I have exciting news to share with you on this first day of 2011. 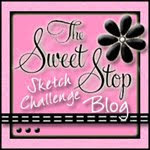 I'm joining the Sweet Stop Sketch team!! I'm so excited because I've ALWAYS wanted to be a part of a sketch team...Yay! So fun!! Korin does a bangin' job on her sketches, too! 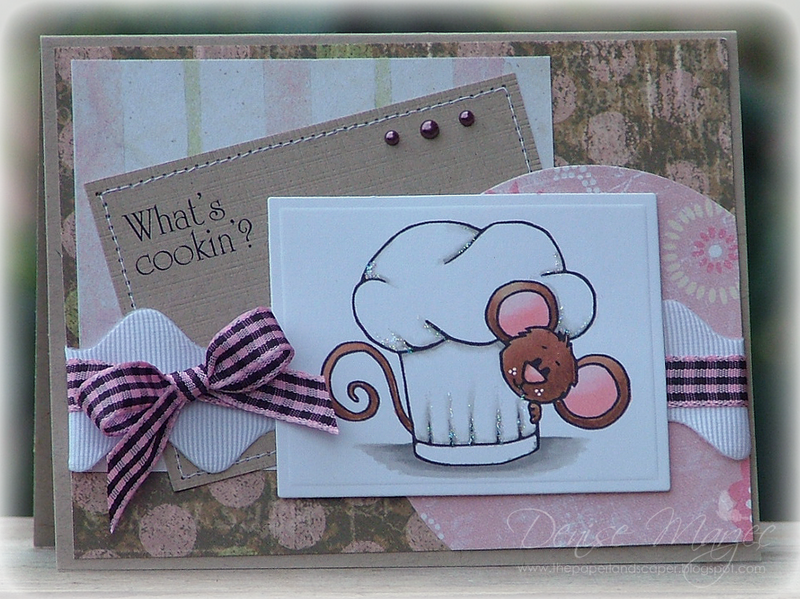 I used Chef Cocoa and Kitchen Sentiments (digi images from Sweet 'n Sassy Stamps). The main panel with Chef Cocoa is up on foam tape and I added Stardust Stickles to accent the hat. 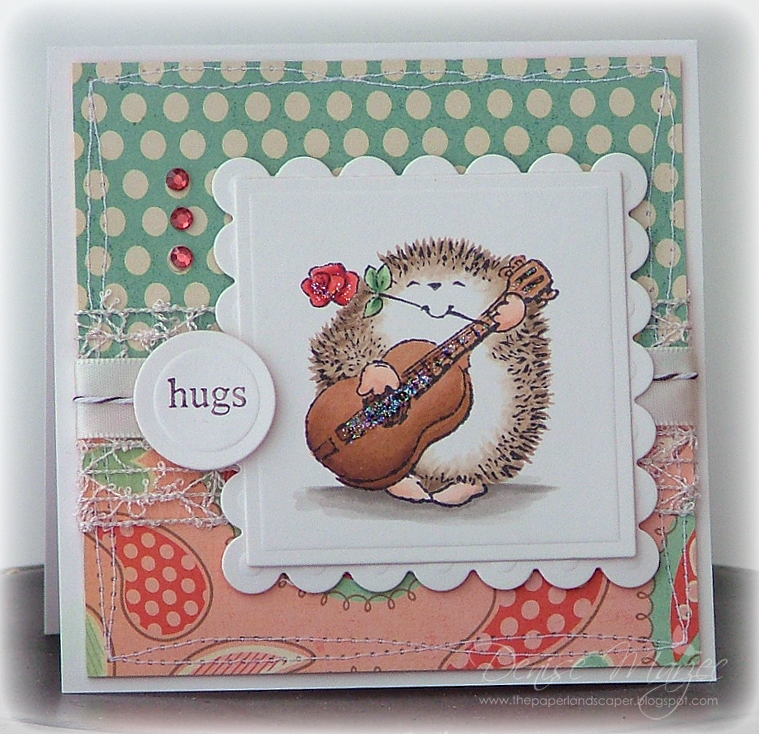 Be sure to stop by the Sweet Stop Sketch Blog to see all the gorgeous inspiration the new team has to share with you today, and I hope you get to play along with us, too!